1) How can you get 51 in quant with 14 wrong answers? 2) How accurate is this 710? Using a table for score calculations posted in this site (...gmat-scores-83890.html) is seems that with this low verbal section I should be somewhere between 660-680.
how many questions wrong are needed to get q51 - is not the right question. there are few factors that are taken into consideration when the raw sub-score is calculated. it might be the case that you got pretty fast (in 14 questions) to the highest level of difficulty, and then, taking turns, you responded correctly/incorrectly. Q51; V28 - is definitely not close to 710. I would not rely much on economist. I got 750 on its brightest minds contest, yet got 650 on real test. Q53 - that is unlikely, as 51 is the max score possible on gmat. You're comparing scores across (different) tests. And I don't see a GMATPrep score anywhere in your post. The official practice tests provide far more reliable score estimates. If you haven't taken a GMATPrep yet, try to take one as soon as possible. If you took the full test and the questions were not already known to you, then yes, this score should be quite representative. You do have time to take 1-2 more GMATPreps before your exam. Try to get comfortable with your timing strategy (and develop a feel for GMAT quant and verbal). I'm concerned to see these results, because a Q51 and V28 do not correspond to a 710. I would definitely like to have our learning science team take a look at what may have caused this, so that we can get an answer for you regarding this score. We at Kaplan take the accuracy of our tests very seriously because we know that test takers like yourself are counting on their accuracy. If you could please send me a private message with your email address and where you took the CAT, we will investigate your results. 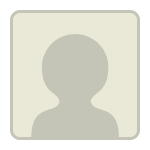 I will also follow up with you via private message with what we learn. 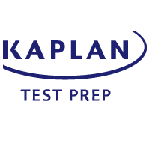 I have taken kaplan tests and scored around 610(Q48,V26) and 620(Q47,V27). Once among my kaplan tests, I scored 650(Q46,V33). In my gmat prep software tests, I scored 610(Q47,V27) and620(Q49,V25). Since I messed up the timing in verbal and I think may be able to improve so I am thinking to give another mock. Since I have used up both the gmat prep mocks. Can anyone suggest me whether to reset the mock and attempt it or try free manhattan or free kaplan test.